In recent years the psychology of reasoning has undergone radical change, which can only be seen as a Kuhn-style scientific revolution. This shift has been dubbed ‘New Paradigm’. For years, psychologists of reasoning focused on binary truth values and regarded the influence of belief as a bias. In contrast to this, the new paradigm puts probabilities, and subjective degrees of belief, centre stage. It also emphasises subjective psychological value, or utility; the way we reason within our own social environment (‘social pragmatics’); and the crucial role of dual process theories. Such theories distinguish between fast, intuitive processes, and effortful processes which enable hypothetical thinking. The new paradigm aims to integrate the psychology of reasoning with the study of judgement and decision making, leading to a much more unified field of higher mental processing. 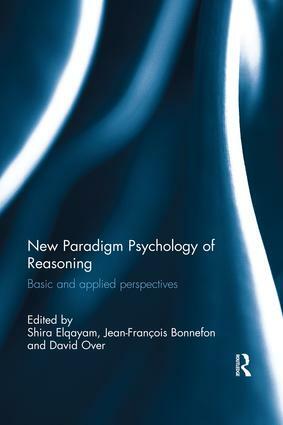 This collection showcases these recent developments, with chapters on topics such as the difference between deduction and induction, a Bayesian formulation of faint praise, the role of emotion in reasoning, and the relevance of psychology of reasoning to moral judgement. This book was originally published as a special issue of Thinking & Reasoning.